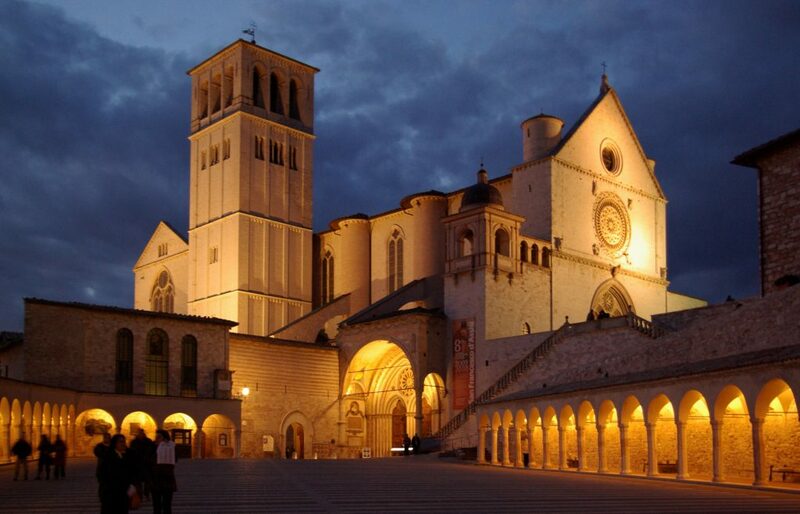 Assisi represents an ensemble of masterpieces of human creative genius, such as the Basilica of San Francesco, which have made it a fundamental reference for art history in Europe and in the world. 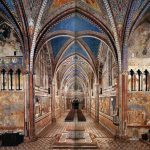 The interchange of artistic and spiritual message of the Franciscan Order has significantly contributed to developments in art and architecture in the world. 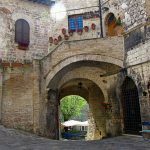 Your english speaking driver we’ll pick you up at the hotel around 8.00 a.m.
and leaving Rome to the north direction, you will cross the valley of the Tiber River, then the medieval villages such as Deruta, Todi e Perugia before arriving in Assisi. 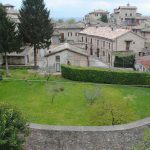 You will then start your walking tour through the narrow streets of the village to see the church of Santa Chiara, the site where St. Francis was born and then on to see the house where he spent the first years of his life. 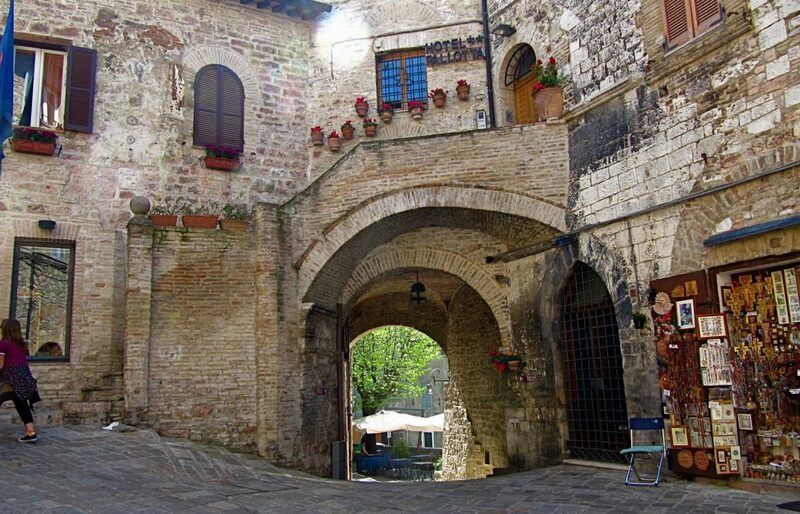 You will then arrive to the Town Hall Square with the People’s Palace, and the Roman Temple dedicated to Minerva( God of War). 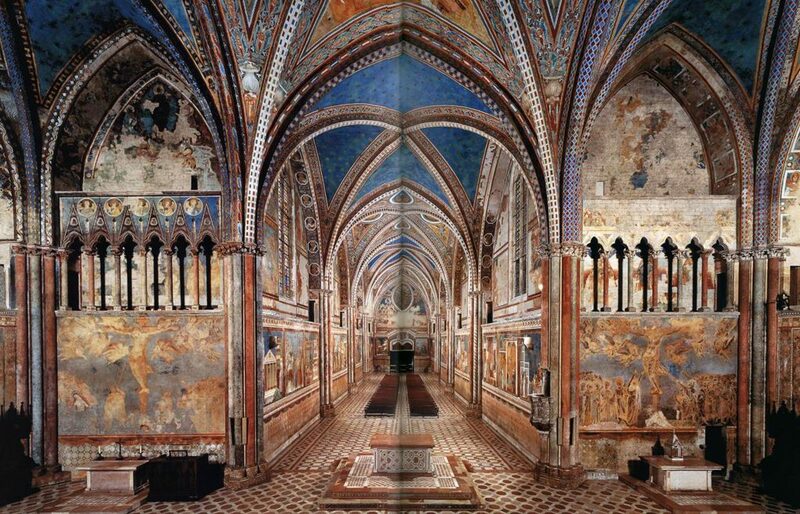 Then, near the ancient city walls you will see the Basilica of San Francis which is internally decorated with frescoes from the 12th and 13th centuries. 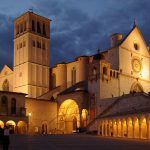 After a break for lunch in a typical Restaurant you will then have the opportunity to visit the Basilica of Santa Maria degli Angeli where there is the Porziuncola Chapel and the site where St. Francis died in 1226. The Return to the Ship will be around 5.00 p.m. ! 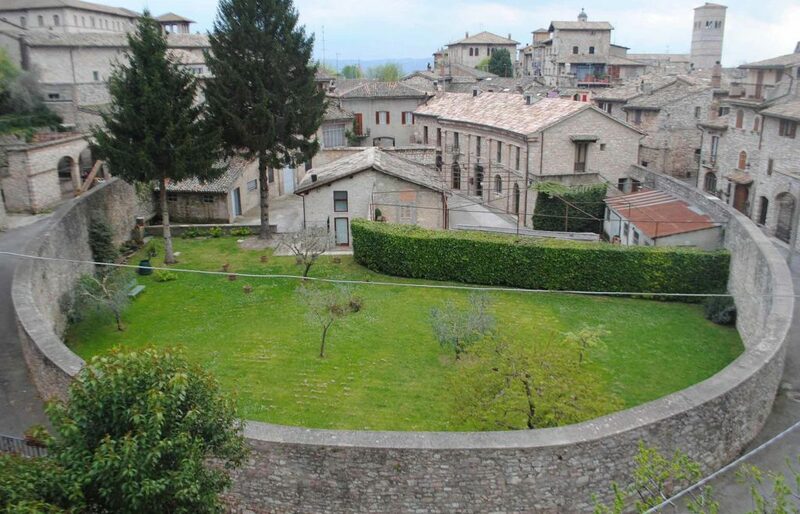 Payments : All rates are quoted in Euro funds. Cash Payment required in Dollars or Euro. Rate includes driver-guide for the whole tour.Please note that the driver will not enter sites but give running commentaries of what you are seeing and give enough time to visit each sight. Price do not include neither lunch or entrance fees.